Technology could be a solution to high transportation costs incurred in the last mile of delivery. Last mile delivery represents the final leg on the journey to deliver goods to their ultimate destination. 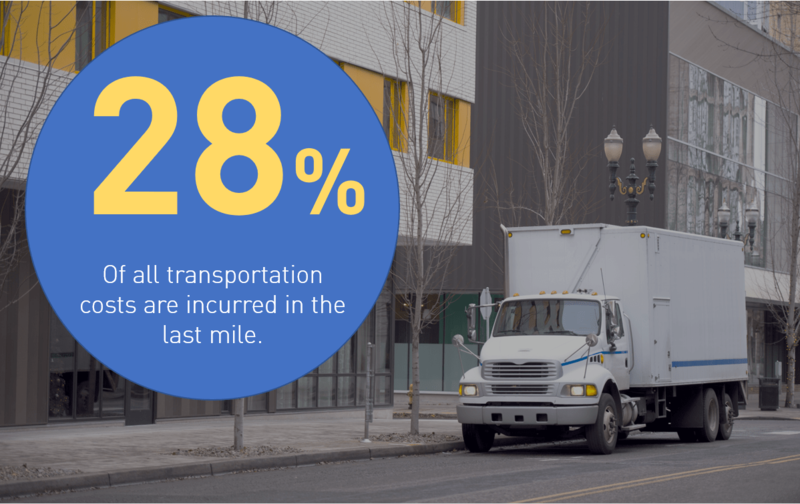 This closing stretch from the transportation hub to an individual delivery point is often costly, representing more than a quarter of the entire cost of shipping. Restaurants and retail locations operating under a lean, “just in time” model have long struggled with the complexity of managing logistics when there are so many variables in play—as have the transportation companies serving these sectors. The increased expectations from consumers about immediate availability for whatever they desire adds to this pressure. Industry leaders and innovators are rising to meet this challenge with a variety of options to physically transport goods more efficiently at a low cost. The most significant strides are in the direct-to-consumer delivery space. However, these concepts also offer fresh ideas for transportation when a local store or restaurant is the final destination. The courier model of delivery is the most common option for businesses like e-commerce and food service that rely on fast, accurate final mile delivery to maintain customer satisfaction. For example, providers like Postmates tackle demand from the consumer side, arranging peer-to-peer delivery in local neighborhoods. Wal-Mart is using crowdsourcing from its customer base to ensure a steady supply of available drivers who are already coming to the store for their purchases and can efficiently deliver groceries to other customers on the way home. On the commercial side, LTL “on demand” is the closest equivalent, but mobile technology to satisfy this market is still in the nascent stages of development. With tight margins and higher costs, the complexities are much greater. For example, this type of solution would need to include terminal, breakbulk, shipment, and trailer data as relevant factors in decision-making. Tech-based solutions such as self-operating vehicles, robots, and drones have received a great deal of attention lately in the race to scale and meet the demand for rapid last mile delivery solutions. As a technology and e-commerce leader, Alibaba has become the first company to begin commercially operating a viable robotic service with G Plus delivery robots. Meanwhile, Amazon is conducting private drone trials in the UK, and Kroger is collaborating with Nuro (a tech startup) to launch an autonomous vehicle grocery delivery service in Arizona. On the freight delivery side, self-driving eighteen wheelers are expected to hit the roads within the next five to ten years. Autonomous tractor-trailers might signal a trend toward greater consolidation in the logistics industry if the anticipated cost savings are realized—since owner-operators may have difficulty competing against a robotic fleet. While not as glamorous as a drone and lacking the personal touch of a DoorDash service, lockers are the low hanging fruit of last mile delivery. This fresh take on fixed distribution logistics allows companies like UPS and Amazon to avoid many of the challenges of residential delivery while still meeting the expectations of today’s consumers. For example, a customer who chooses locker pickup might have access to their goods within a few hours of order placement at no additional cost vs. waiting an extra day or paying an upcharge for same-day delivery at home. The benefit for logistics companies is obvious—they don’t have to manage the cost of failed home deliveries. Retailers also benefit from generating more in-store traffic. They may also have an opportunity to piggyback some of their own transportation needs on top of consumer-focused deliveries that occur at the store level. This would require integration at the ERP/supply chain level and more accurate measurements of real time inventory and demand. Final mile delivery poses many issues from cost-containment to regulatory compliance. In the short term, the greatest gains will come from optimizing shipping/logistics services. Innovation in this area will come from equipping teams with the information needed to make smart business decisions. 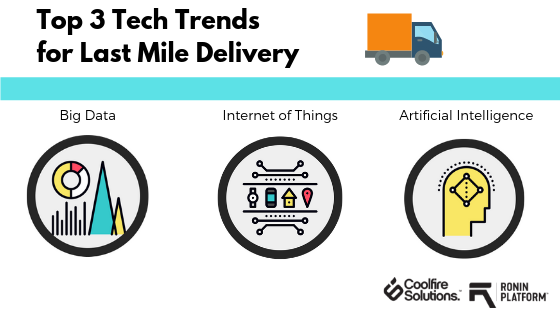 Here are just a few of the considerations for companies eyeing the last mile delivery problem. Technology from hardware to algorithms and analytics provide answers to address each of these challenges. 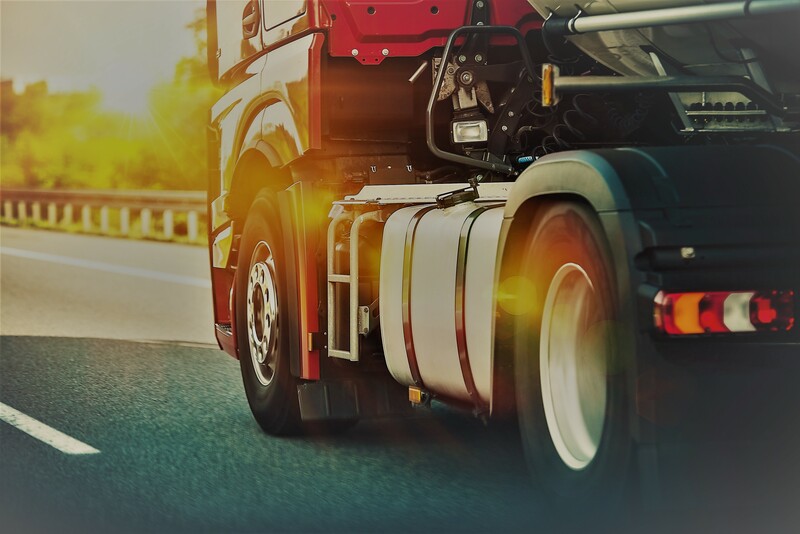 Big Data is driving Business Intelligence and predictive analytics, allowing transportation companies and e-commerce businesses to plan more effectively and make data-driven decisions based on actionable insights. This information can range from inventory management to courier selection and more. Right now, drivers can use this data to operate more effectively. In the future, the same data will inform the robotic freight delivery market. >IoT is enabling finely tuned tracking of goods as well as helping keep tabs on the location of drivers. As last mile delivery becomes more refined, logistics companies will also use sensors to pinpoint the exact location of consumers who are on the go, reducing the percentage of undeliverable packages. And of course, connected sensors are what make it possible to deploy drones and other next-generation delivery devices. Artificial Intelligence is the underlying technology that makes autonomous delivery possible. Systems that can learn in response to environmental input are essential to adapt to complex, real-world situations. Machine learning is also being used behind the scenes for routing deliveries, dynamically responding to traffic, and solving other problems in real time. 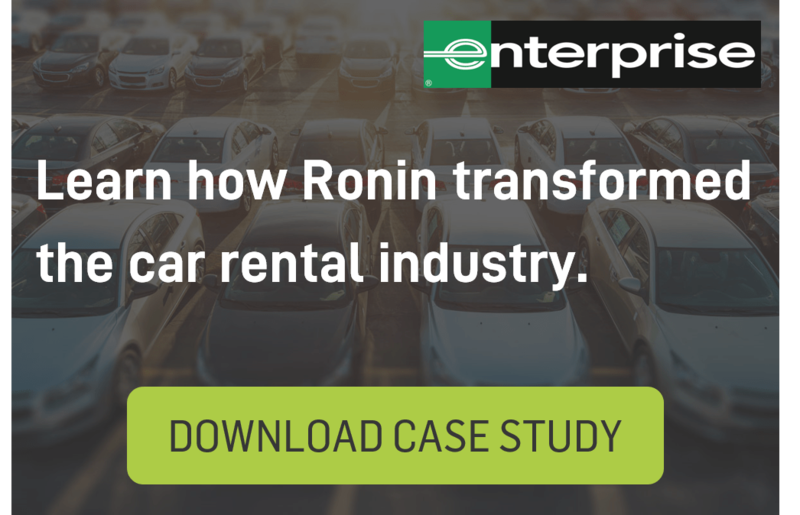 While the largest players in the market are developing their own solutions, on-demand platforms are being rapidly developed to serve the transportation industry at every level. Such solutions incorporate system integration, data visualization, and real-time communication to solve the challenges of last mile delivery by increasing cost-savings, customer satisfaction, and competitive advantage. 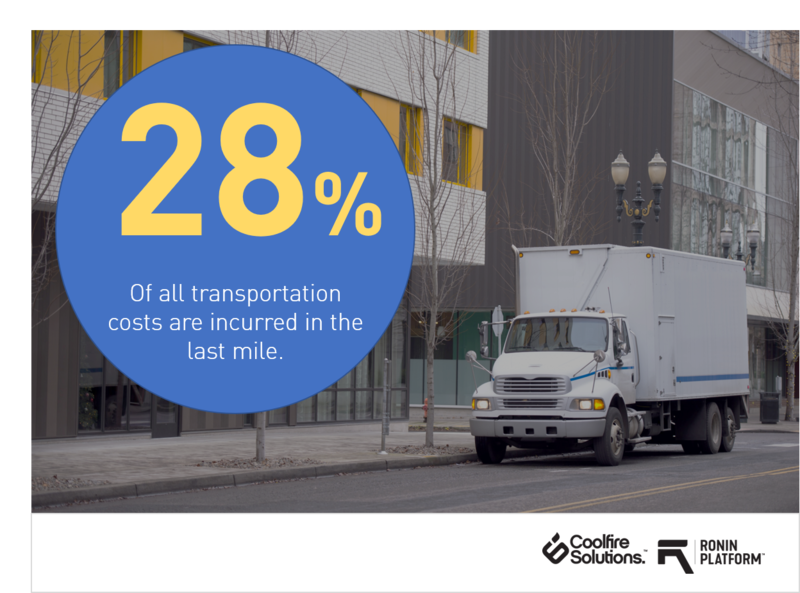 Learn more about Coolfire Solutions and how their platform is transforming the transportation industry.